A Montessori education offers children the world. Through presenting great, impressionistic lessons that ignite curiosity and inspire questions, students learn to make connections and to see how the entirety of a concept relates to its parts, and back again. The Montessori classroom is a lively workshop. Here, students delve deeply into studies inspired by teacher-led lessons and ones of their own choosing. Projects generated from these engaged explorations are commonplace and enliven the classroom community. One of the many beauties of a Montessori education is the time afforded the children to truly “know”. Rushing from one topic to the next is patently avoided. As such, the space for profound understanding is fostered. Children stay with a work because they feel its significance. They form an intimate connection; that relationship resonates within them. This relationship is love. We are all part of the Montessori movement because we want something different for children –something beyond a model of education that values dissemination of knowledge over understanding, that confuses sameness with strength, and one that measures achievement only through solitary gains on yearly assessments. In a Montessori school, we believe that children are spirit-filed beings yearning to be believed in, that education is about freeing children to explore a learning environment prepared with intention, where they can partner with teachers to set goals for their leaning, and “where trained adults relate to them in a guiding, helpful, positive way around the love of learning” (Schaefer, n.d.). In this relationship students develop a powerful personal understanding, and build meaningful connections with one’s community, and the world. A Montessori approach to education in the 21st century provides children with an environment that meets timeless needs: a child’s need for respect, honor, time, purpose, choice, challenge, practice, feedback, extension, more practice, mastery, and the chance to contribute. Montessori students are curious, self-confident, eager and energetic; that is, full of interest and intention. They are partners in directing their learning, engaging with curricula that are novel and meaningful and relevant – all with the support of compassionate and knowledgeable educators. 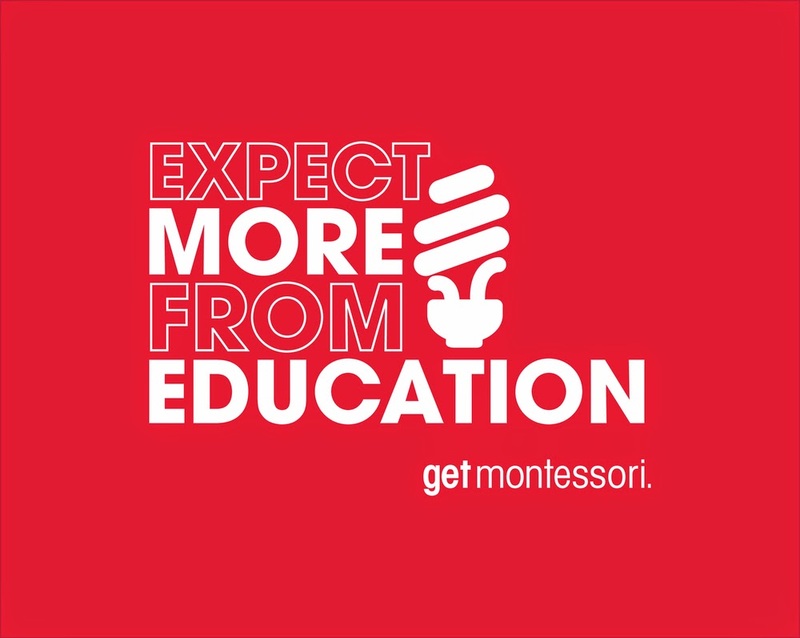 In The Absorbent Mind, Dr. Montessori wrote the following call to action: "If education is always to be conceived [as] a mere transmission of knowledge, there is little to be hoped from it in the bettering of [our] future. For what is the use of transmitting knowledge if the individual's total development lags behind?... The child is endowed with unknown powers, which can guide us to a radiant future. If what we really want is a new world, then education must take as its aim the development of these hidden possibilities"(Montessori, 1949). In a Montessori school, we aim to do more; indeed, change the system – re-frame and re-create the world as we want it to be. Montessori saw education as “the bright new hope for mankind”(Montessori, 1949). Help us in our endeavor to empower children of to seek out knowledge, to ask questions, to challenge themselves, to love living – in short to see before them an unobstructed, free horizon with nothing but possibility ahead. Absolutely! Thanks for taking the time have a look. I so enjoy your perspectives, and am excited about exploring these concepts further - towards meaningful, systemic changes in education.